James recently completed a four-year term as editor of the American Journal of Agricultural Economics. Managing over 600 papers, James is widely read in the food and resource economics literature. His research interests include the properties of agri-environmental contracts such as the trade-off between risk and incentives. James’ teaches managerial economics, government and business and commodity price analysis. Dr. Vercammen teaches at the undergraduate level and at the graduate level in the Master of Food and Resource Economics (MFRE) program. See http://blogs.ubc.ca/jvercammen/research/ for a list of publications. James Vercammen joined the Faculty July 1, 1991 as an Assistant Professor. He was promoted to Associate Professor and began a joint appointment with the Sauder School of Business in July, 1996. James was promoted to full professor in 2002. James grew up on a medium-size grain and cattle farm in southeastern Saskatchewan. He obtained his BSc and MSc in Agricultural Economics from the University of Saskatchewan. James occupied the Van Vliet Research Chair at the University of Saskatchewan from July, 1995 to June, 1996. 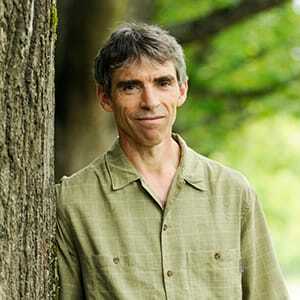 James has been at UBC since completing his PhD in Agricultural and Resource Economics at UC Berkeley in 1991. He has spent sabbatical leaves at the University of Melbourne (1998/99), KL Leuven (2005), University of Toulouse (2005), Lincoln University (2006), INRA @ Rennes (2014), University of Sassari (2014) and University of Western Australia (2015). James was co-editor of the Canadian Journal of Agricultural Economics (CJAE) from July, 2001 to July, 2004. He was president of the Canadian Agricultural Economics Society (CAES) from August, 2010 to July, 2011. He has been co-editor of the American Journal of Agricultural Economics since 2013 – finish date is end of 2017.